An initial assessment establishes whether the program is appropriate for the learner and if so, provides information allowing us to tailor the program to fit the client’s specific goals, challenges, pace, and gifts. Mental Tools to help with focusing, controlling one’s energy level,	and relaxing. 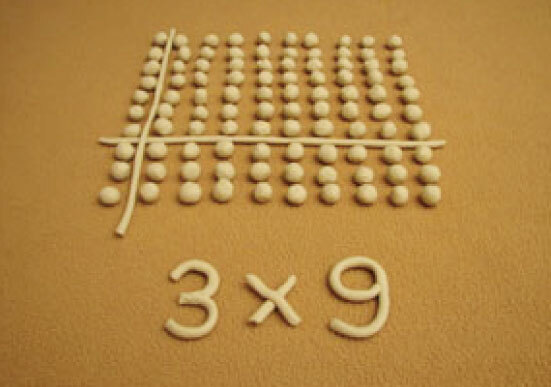 Principles, terms, and symbols of arithmetic are taught using a creative, hands-on style of instruction. Confusion with math symbols (numbers, function symbols like + and x) and terms (add, subtract, etc.) are resolved. Math definitions of little non-picture words like “to” and “of” that can cause confusion when doing word problems are mastered. A high school graduate who had repeatedly failed Algebra did not think she could succeed in college—especially as a science major. She completed the math program prior to entering college and went on to get good grades as a biology major. Read an in depth article about dyscalculia.